Supporting students is at the heart of all our programmes and we are aware that there may be occasions when you may need a little more support to make your journey that bit easier. We endeavour to provide a supportive environment in which to study and provide a wide network of support and personal development services for all our students. The information on this page will guide you through the support available to you as a Hull York Medical School student. Hull York Medical School has its own Student Support Team. Our team is there to help if you have any confidential non-academic queries or concerns. If we are not able to resolve your problem within the school, we will signpost you to the appropriate support service for more specific advice. To contact the Student Support Team, email student.support@hyms.ac.uk or telephone 01482 463074 (Hull campus) or 01904 321695 (York campus). 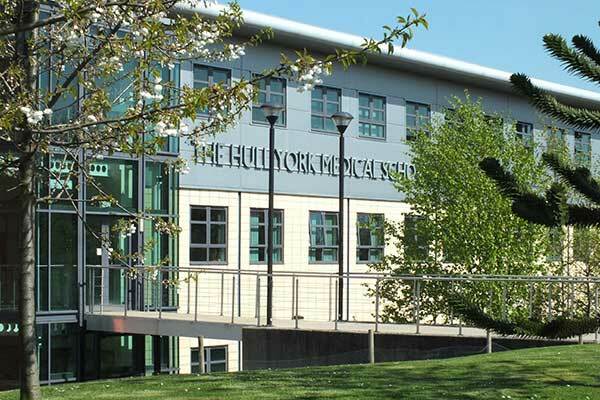 In addition to our dedicated Student Support Office, Hull York Medical School students also have access to student support services at the University of Hull and the University of York. Both universities offer a wide range of student support and wellbeing services, including health and wellbeing support and advice, disability support and assessments for support and adjustments, financial assistance or advice, and learning support. Every clinical placement site has a designated Student Liaison Team and Clinical Dean who can help with any local learning issues. These teams are highly valued by our students and they are able to offer advice about getting the most from studying and living in the local area. Our tutors are motivated and enthusiastic professionals and practising clinicians. They recognise the unique challenges faced by students as they progress their studies and are committed to supporting you in becoming a successful healthcare professional. You will also receive additional support throughout your programme which, depending on your course, may include mentoring, personal tutoring or supervision. Please see your course pages for further information. The students’ unions at both the University of Hull and the University of York have a range of advice and support functions covering accommodation, finance, advocacy and more. Student representatives from all of our programmes sit on the Staff Student Committee and School Management Board, working to support the school in improving our students’ experience.